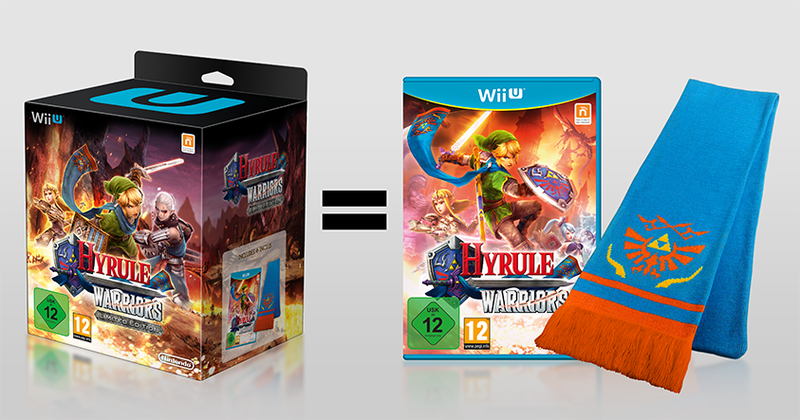 That's right you lucky Europeans, Nintendo of Europe is getting a limited edition of Hyrule Warriors. The Limited Edition contains the game and the Hero Scarf. No words on the treasure chest or triforce clock. Also available in Australia and New Zealand.